Owning your own car isn't always necessary for travel within East Toronto. Living in a Preston Apartment means that as a traveler you can count on convenient access to a variety of public transit, cycling and car-sharing options. 90 Eastdale Avenue is located only minutes north of bustling Danforth Avenue. It's also steps away from major bus routes offered by the TTC that conveniently connects passengers to the Bloor-Danforth subway line. Passengers can transfer to the Yonge-University-Spadina subway line via Spadina and Yonge Stations and get into the downtown core in a matter of minutes. The 87 Cosburn bus stop is right outside the doors of 90 Eastdale Avenue. This route is ideal for people traveling between east and west Toronto from Broadview Station and Main Street Station on the Bloor-Danforth subway line. The 64 Main bus route runs as far south as Queen Street East and Wineva Avenue, and is a perfect route to access the Beaches area of Toronto in only 15 minutes. This route is also right outside the doors of 90 Eastdale Avenue on the corner of Eastdale Avenue and Goldwood Park Crescent. The City of Toronto has been taking positive steps to improve the streets for cyclists. Not only are they adding more bike lanes in East Toronto but many online services are popping up that provide cyclists with accurate routes with a focus on speed and safety. Biking Toronto has a fully functional map of all the bike lanes in Toronto to help cyclists plan their route. Google style biking maps for Toronto have also sprung up on Ride The City Toronto. On this website, cyclists can input their starting and destination points for the fastest and safest bike routes from 90 Eastdale Avenue. You can get around the city affordably without depending on public transit, cycling or even walking. Autoshare and ZipCar offer low-cost rental cars in every neighbourhood in Toronto, which can be booked online in minutes. Their service allows drivers to reserve and pick up a car from various locations near 90 Eastdale Avenue such as Victoria Park Station (east), Main Square Community Centre (south) and the corner of Woodbine Avenue & Mortimer Avenue (west). If you just need a ride to get to and from work, Toronto's Smart Commute has car and van pooling options. They have made it easy to get started with quick online registration and a handy list of employer locations throughout the city. 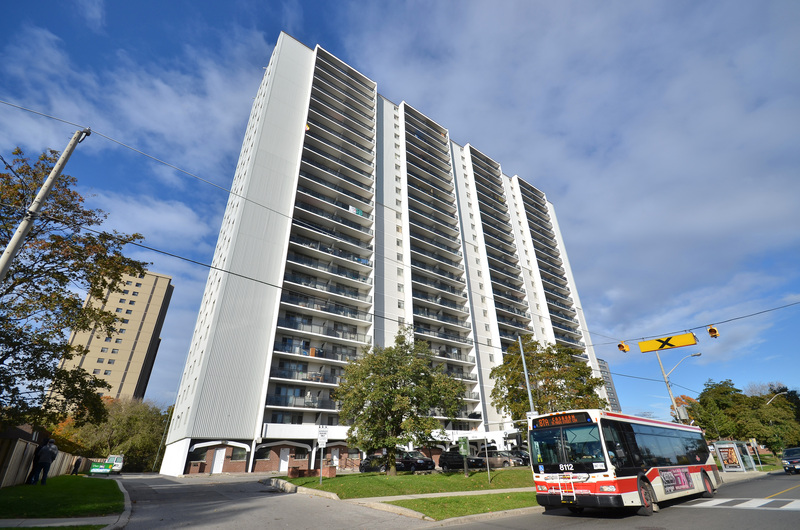 Travelling to and from 90 Eastdale Avenue is a breeze and very affordable. See what Preston Apartments have to offer for yourself by filling out an online Pre-Approval form on our website and see if you qualify! Once you've been pre-approved, one of our rental agents will contact you to schedule a viewing of one of our apartments.